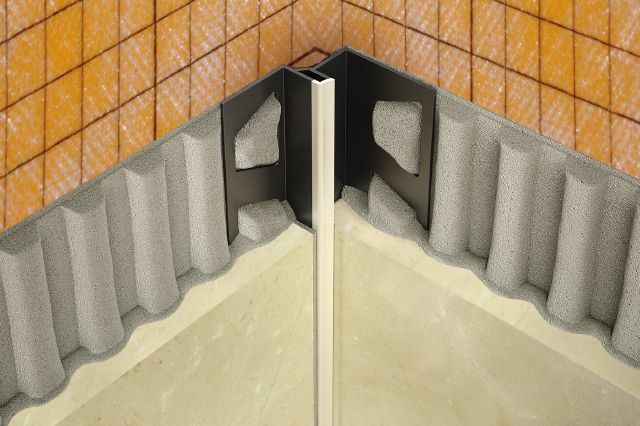 Cove bases are a practical and hygienic method for treating floor-to-wall or wall-to-wall transitions, as they provide a curved surface that is easy to clean and prevent the accumulation of dirt. 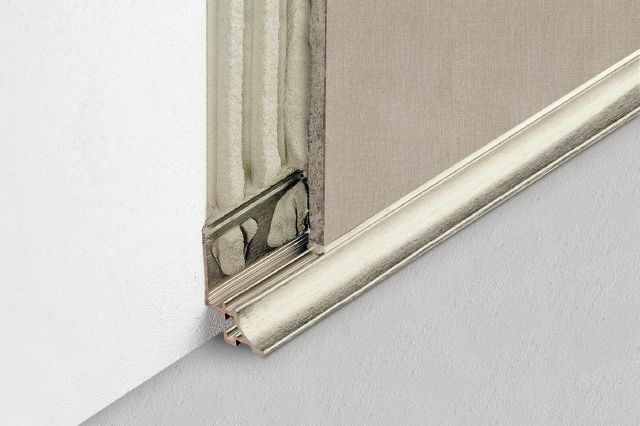 However, the limited availability of ceramic trim pieces has resulted in the use of sealant and caulk to treat such transitions. 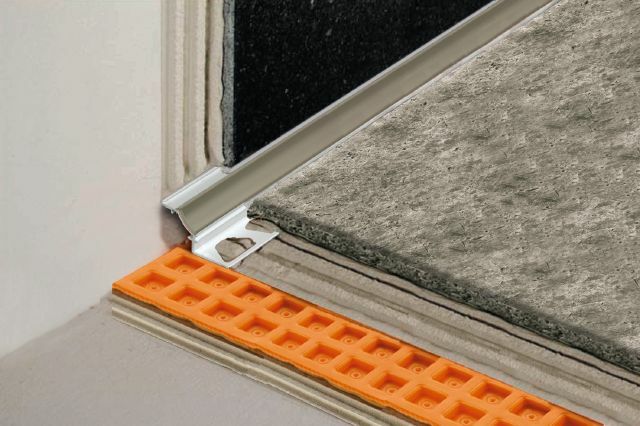 These joints must be continually maintained throughout the life of the installation. 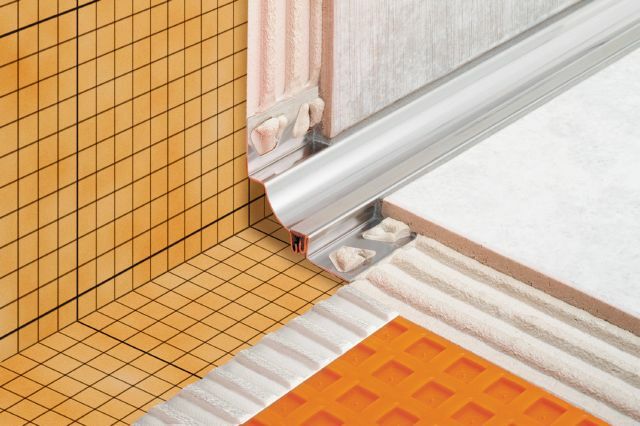 Schluter-DILEX cove-shaped profiles provide an attractive, clean, and maintenance-free alternative for inside wall corners and floor/wall (including countertop/backsplash) transitions. 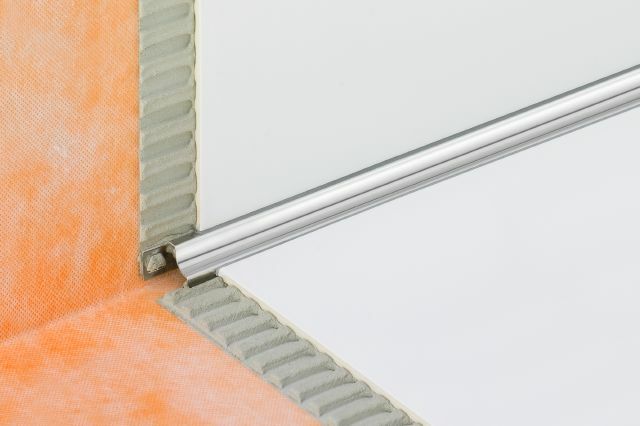 Plus, they completely eliminate the need for caulk. 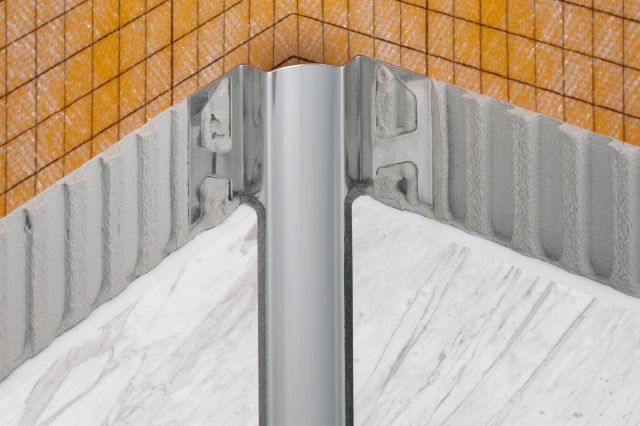 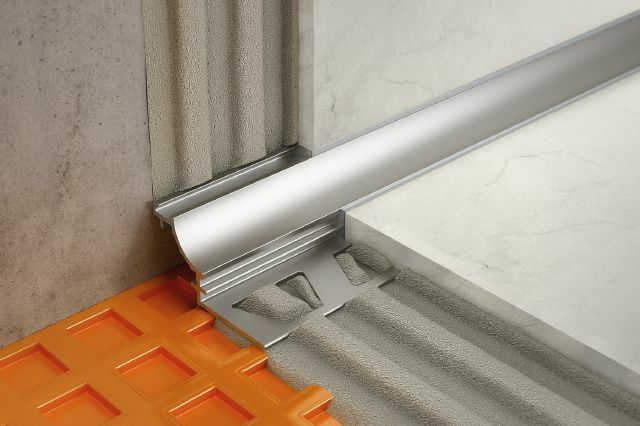 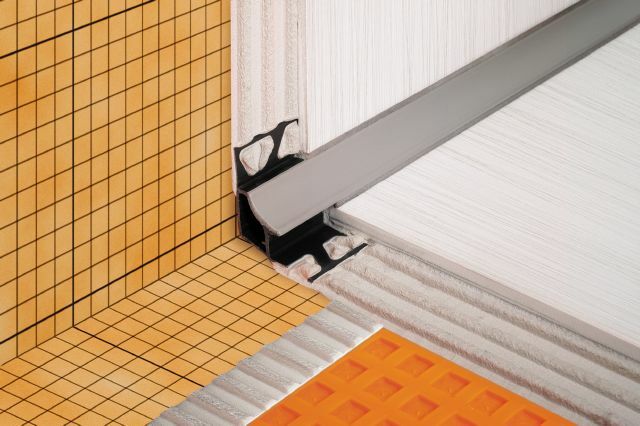 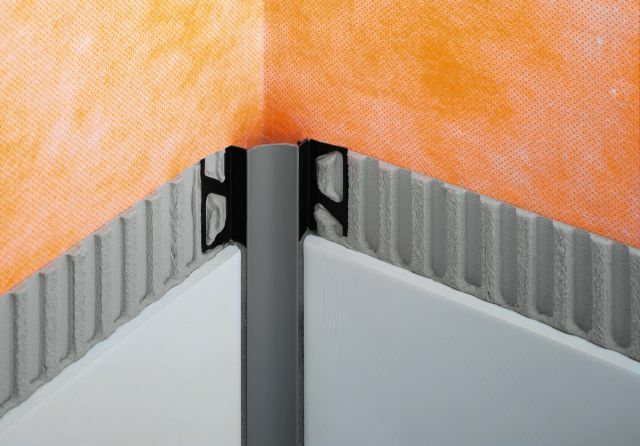 DILEX profiles accommodate the use of any tile line, regardless of the availability of trim pieces.